Once installed on a target machine, AfterMidnight uses an HTTPS-based Listening Post (LP) system called "Octopus" to check for any scheduled events. If found one, the malware framework downloads and stores all required components before loading all new gremlins in the memory. According to a user guide provided in the latest leak, local storage related to AfterMidnight is encrypted with a key which is not stored on the target machine. A special payload, called "AlphaGremlin," contains a custom script language which even allows operators to schedule custom tasks to be executed on the targeted system. Assassin is also similar to AfterMidnight and described as "an automated implant that provides a simple collection platform on remote computers running the Microsoft Windows operating system." 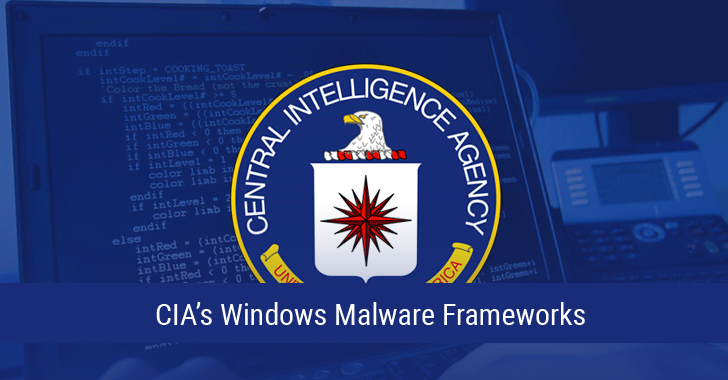 Once installed on the target computer, this tool runs the implant within a Windows service process, allowing the operators to perform malicious tasks on an infected machine, just like AfterMidnight. Assassin consists of four subsystems: Implant, Builder, Command and Control, and Listening Post. The 'Implant' provides the core logic and functionality of this tool on a target Windows machine, including communications and task execution. It is configured using the 'Builder' and deployed to a target computer via some undefined vector. The 'Builder' configures Implant and 'Deployment Executables' before deployment and "provides a custom command line interface for setting the Implant configuration before generating the Implant," reads the tool's user guide. The 'Command and Control' subsystem acts as an interface between the operator and the Listening Post (LP), while the LP allows the Assassin Implant to communicate with the command and control subsystem through a web server. Last week, WikiLeaks dumped a man-in-the-middle (MitM) attack tool, called Archimedes, allegedly created by the CIA to target computers inside a Local Area Network (LAN). This practice by the US intelligence agencies of holding vulnerabilities, rather than disclosing them to the affected vendors, wreaked havoc across the world in past 3 days, when the WannaCry ransomware hit computers in 150 countries by using an SMB flaw that the NSA discovered and held, but "The Shadow Brokers" subsequently leaked it over a month ago. Even Microsoft President Brad Smith condemned the US intelligence agency’s practice, saying that the "widespread damage" caused by WannaCry happened due to the NSA, CIA and other intelligence agencies for holding zero-day security vulnerabilities. "This is an emerging pattern in 2017. We have seen vulnerabilities stored by the CIA show up on WikiLeaks, and now this vulnerability stolen from the NSA has affected customers around the world," Smith said. Year Zero – dumped CIA hacking exploits for popular hardware and software. Grasshopper – reveal a framework which allowed the agency to easily create custom malware for breaking into Microsoft's Windows and bypassing antivirus protection. Scribbles – a piece of software allegedly designed to embed 'web beacons' into confidential documents, allowing the spying agency to track insiders and whistleblowers.